One of Canada’s more renowned Design Universities, Emily Carr University of Art + Design asked Lift Studios to redesign their website. Our team was tasked to analyse content & site usage statistics, develop a web strategy, create designs and collaborate with the in-house development team to build a new web presence that better reflected the university’s status and brand. In contrast to the usual brochure-style University websites, Lift proposed a new site design that dynamically features artwork and design by students & faculty by using user-generated content features in the Drupal CMS platform. While at a meeting the LiFT team noticed that many of the bathrooms at Emily Carr were plastered with graffiti–colourful emblems, type and colourful graphic symbols, after all, it is an art and design school. We thought it would be great if students could ‘leave their mark’ on the University’s website in the same way except in a more digital context. Our team created the Tenby – a 10 x 10 pixel sketchpad, where logged-in members could create and save small pixel drawings which they could leave on their friends profiles & artwork. The site has received great acclaim and was awarded an Award of Distinction in the Graphex 2010 design awards. 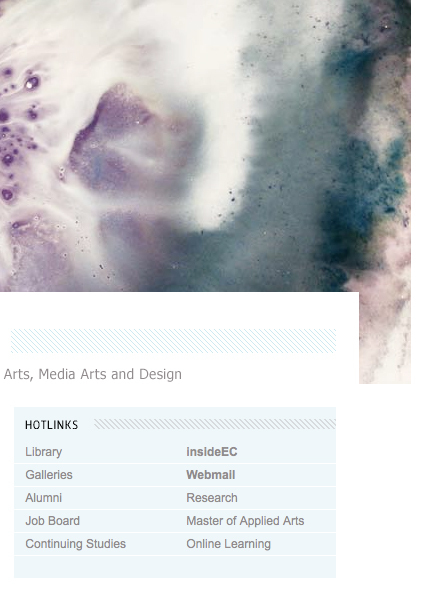 In 2011, Lift Studios has worked closely with Emily Carr University to deliver exclusive blog themes for students, departments and faculty as well as a navigation restructuring that ties all of the major ECUAD sites together via cross-site universal navigation. As part of that project, LiFT also consulted on a redesign and simplification of the Moodle system user experience used for delivering class course materials. 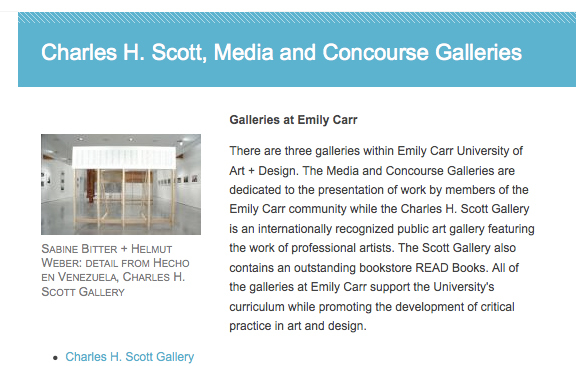 Emily Carr University is a Strategy, Web experience for Education which launched on April 15th, 2009.